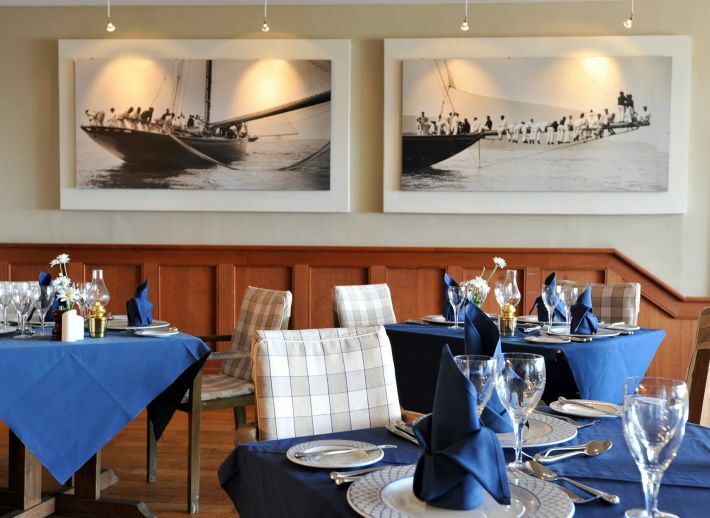 Dining at The Nare is a luxurious experience. 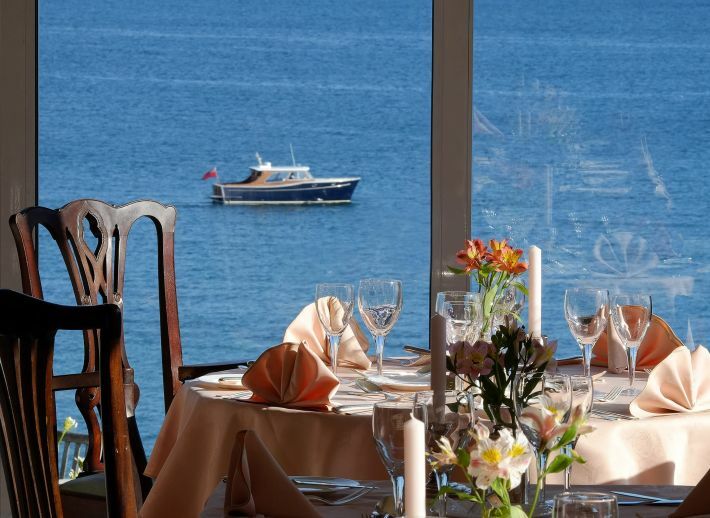 Guests choose each night, whether to dine in the sea-view Quarterdeck or the more formal, silver service Dining Room. The Nare’s reputation for fine dining has been established over many years, with both Nare restaurants receiving recognition for culinary excellence. Cornwall itself has become a destination for some of the finest chefs and restaurants in the country, owing much to the excellent local produce on offer from the sea and land. 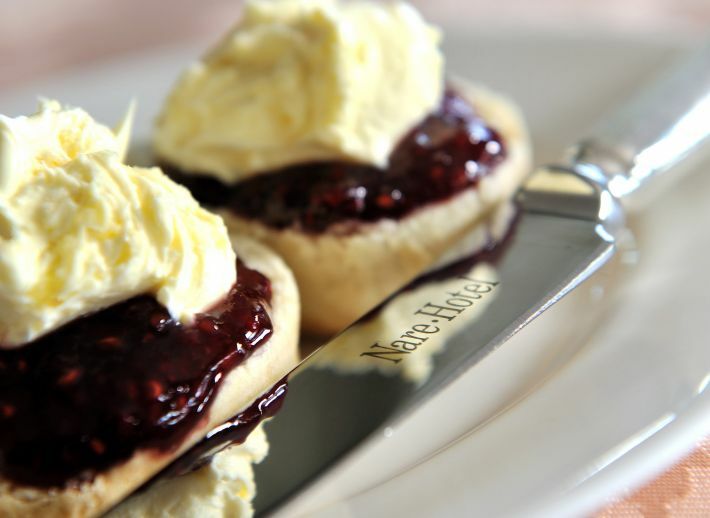 As a country house hotel by the sea, The Nare is a specialist when it comes to seafood dishes and the Cornish beef sourced from local farms, is amongst some of the best on offer. In particular the renowned Sunday Lunch at The Nare, held in The Dining Room, is an experience not to be missed. Menus are carefully crafted to offer classic and contemporary dishes, with all dishes prepared daily in our kitchens under the direction of Head Chef, Brett Camborne-Paynter. The Nare has an extensive wine cellar with classic and interesting wines from around the world selected and laid down with the experience and insight of Proprietor, Toby Ashworth. 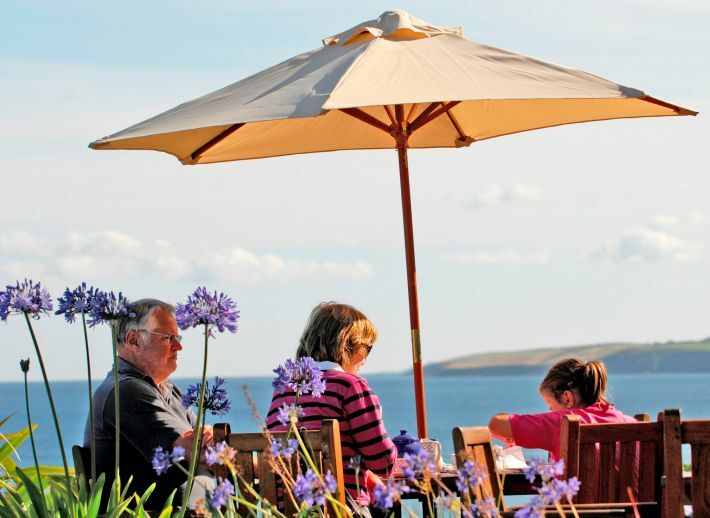 The wine list also includes several of the best wines from Cornish vineyards, who owe much of their success to the subtropical climate enjoyed on the south Cornish coast.